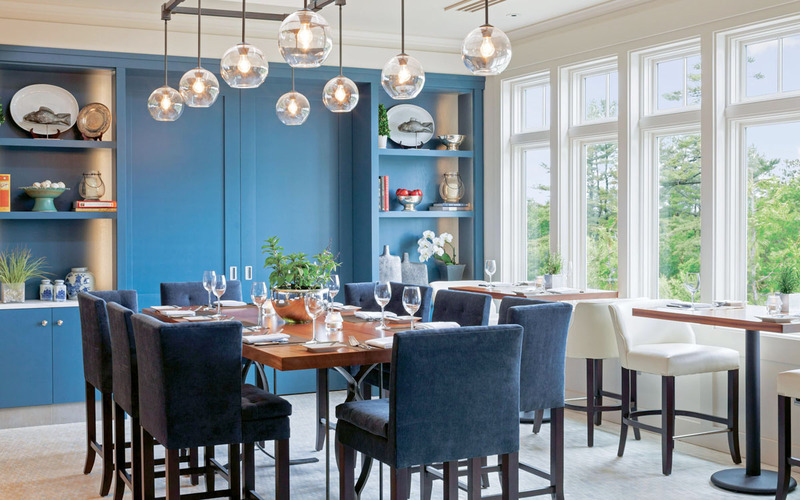 SALT is a re-imagined restaurant in the historic Wentworth by the Sea Hotel on the New Hampshire seacoast. TruexCullins dramatically transformed this signature space into a multi-use, sophisticated dining space. 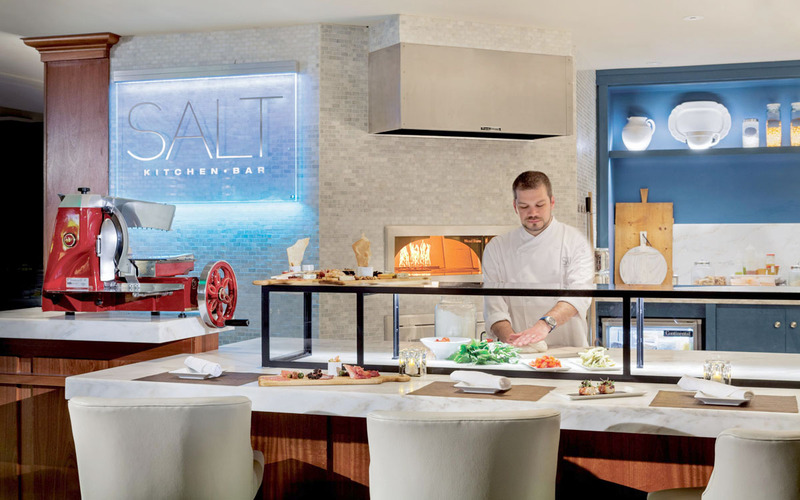 Each day, SALT morphs from a sun-drenched breakfast buffet into a chic restaurant and bar. 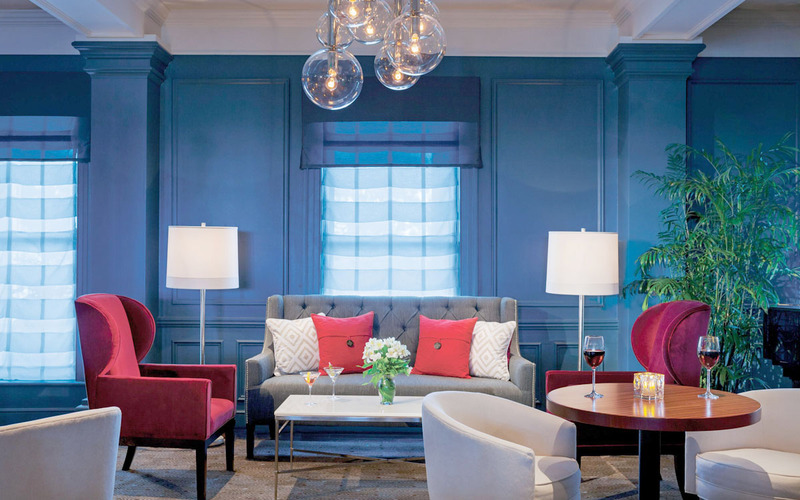 Four distinct areas within the space boast a fresh and contemporary feel with elegant furnishings. 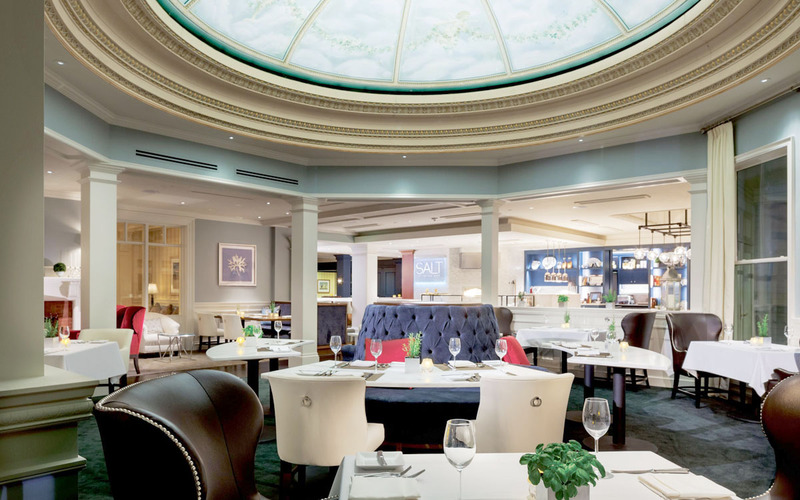 SALT features an open kitchen and chef’s bar with a wood-fired oven, a vibrant lounge space and a grand dining room under a dome ceiling. Community tables provide space for festive gatherings, while smaller dining enclaves offer privacy.